Our guide to Kansas City will help you find the best budget hotels in Kansas City Missouri. Named after the Kansa Indians who settled along the Missouri River, Kansas City blends old and new, city and prairie. It's often been called the "City of Fountains" since it boasts more outdoor water features than any other city, Rome excepted. Music flows freely, too, especially in the form of jazz. That legacy can still be heard at the famous 18th & Vine Historic District or at City Market. Architecture, most notably the sixty-plus examples of Art Deco styling, are also prominent. Other attractions include Science City at Union Station, the Kansas City Zoo, and the Arabia Steamboat Museum. For grown ups, Kansas City's riverboat casinos are a huge draw, as are the city's hometown teams, the NFL Chiefs and MLB Royals. There are tons of great budget hotels in the city of Kansas City, our city guide will help you find the best budget hotels. You may have a hard time deciding what to do in Kansas City, but we make your decision easy. 1051 N Cambridge, (816) 483-7900 - La Quinta Inn Kansas City Northeast is a budget hotel / motel / resort located in Kansas City MO. 11130 NW Ambassador Dr, (877) 863-4780 - Holiday Inn Express Airport is a budget hotel / motel / resort located in Kansas City MO. 11300 NW Prairieview Rd, (816) 464-5082 - Econo Lodge Airport is a budget hotel / motel / resort located in Kansas City MO. 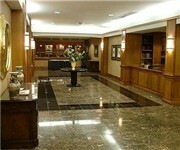 11900 NW Plz Cir, (913) 677-3060 - Best Western is a budget hotel / motel / resort located in Kansas City MO. 1215 Wyandotte St, (877) 863-4780 - Holiday Inn Kansas City Downtown is a budget hotel / motel / resort located in Kansas City MO. 15014 E US Hwy 40, (816) 373-7500 - Budget Host is a budget hotel / motel / resort located in Kansas City MO. 2232 Taney St, (816) 421-6000 - Americas Best Value Inn is a budget hotel / motel / resort located in Kansas City MO. 2633 NE 43rd St, (816) 459-7222 - Best Western Country Inn is a budget hotel / motel / resort located in Kansas City MO. 2975 Main St, (816) 561-3000 - Residence Inn Kansas City Downtown/Union Hill is a budget hotel / motel / resort located in Kansas City MO. 3001 Main St, (816) 931-5700 - Fairfield Inn Kansas City Downtown/Union Hill is a budget hotel / motel / resort located in Kansas City MO. 3240 Broadway, (816) 531-9250 - Econo Lodge is a budget hotel / motel / resort located in Kansas City MO. 4231 N Corrington Ave, (816) 452-6212 - Fairfield Inn & Suites Kansas City North Near Worlds of Fun is a budget hotel / motel / resort located in Kansas City MO. 4309 Main St, (816) 561-9600 - Best Western Seville Plaza Hotel is a budget hotel / motel / resort located in Kansas City MO. 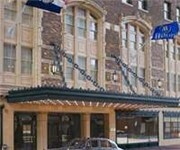 4601 Broadway St, (816) 753-0033 - Residence Inn Kansas City Country Club Plaza is a budget hotel / motel / resort located in Kansas City MO. 500 E 105th St, (816) 941-3333 - Courtyard surrounds travelers with the conveniences that make business, government, and pleasure travel easy. 11110 N Ambassador Dr, (888) 897-0084 - Candlewood Suites Kansas City is a budget located in Kansas City MO. There are plenty more budget hotels in Kansas City. See all budget hotels in Kansas City Missouri.